Rainbow Theme is one of the coolest S^3/ Anna / Belle compatible theme. The light blue color is really eye soothing. 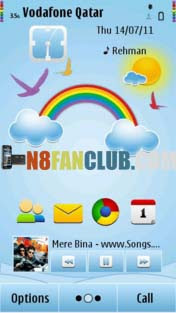 Download it today from N8 Fan Club.